I’m assuming everyone grew up with the traditional of this – peanut butter and raisins on celery – or maybe that was just a Midwest thing? 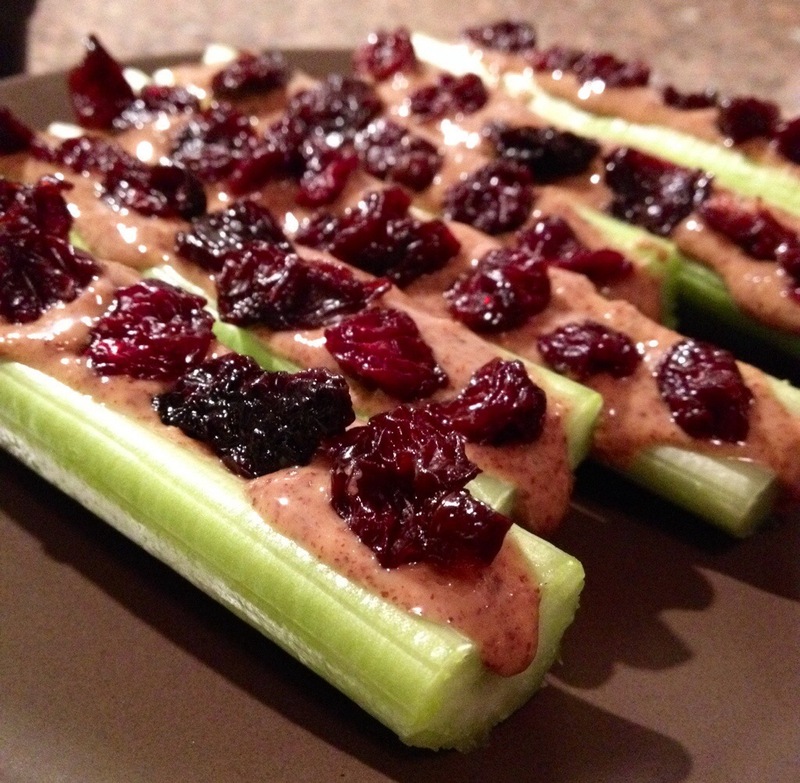 Either way, this grown-up version is awesome: almond butter and unsweetened dried cherries! A perfect “I want something sweet-ish and substantial” snack. Or give it to your kids, whatever. I like your spin on it..i’ll have to try that! Thanks! Let me know what you think or if you find something better! !